WizardGear™ robot cable management products provide organization, support and protection for all lines and cables attached to robots. Keep cables free from damage that can cause unnecessary downtime and costly repairs. Using zip ties or other poor methods of attachment can even void the warranty on your control cables. Made in USA. 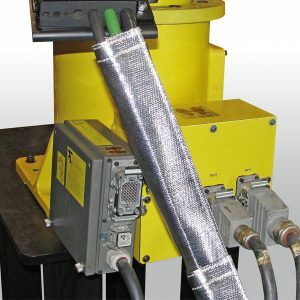 The WizardGear™ line of robot cable management products provides organization, support and protection for all lines and cables attached to robots. Protect cables from damage that can cause unnecessary downtime and costly repairs. Using zip ties or other poor methods of attachment can even void the warranty on your control cables. 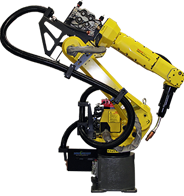 Custom cable management systems also available for applications using Fanuc® or other robot manufacturers. Kits including cables available with either 3/0 or 4/0 welding cable. 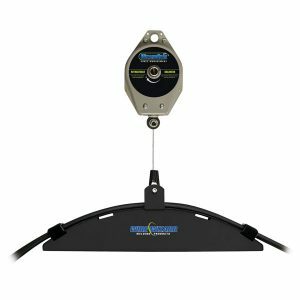 WizardGear® Conduit and Cable Balancers provide an easy method of hanging conduit and cables above areas where they are prone to damage. 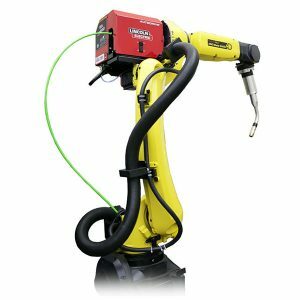 Excellent for robotic welding applications as well as submerged arc applications with manipulators. All models feature adjustable tension and heavy duty 8 ft braided steel cable. 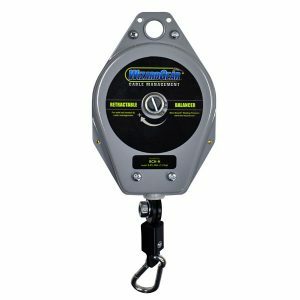 Balancers are available to handle workloads up to 27 lbs (12.2 kg). WizardGear® Conduit Hangers prevent excess droopage in conduit that can cause excessive wire friction. 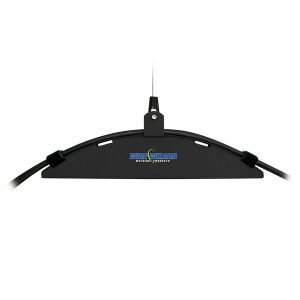 Hangers feature heavy duty steel construction and Velcro straps to secure cables and conduit. Recommended accessory for conduit & cable balancers. 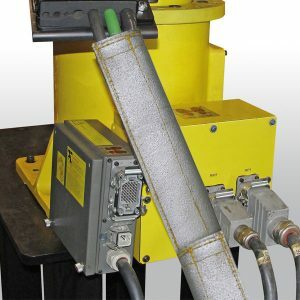 Constructed from tough Kevlar® with a spatter-resistant aluminized coating, WizardGear® conduit & cable sleeves provide the maximum degree of protection inside the weld cell. Featuring a zipper and Velcro enclosure, the sleeves resist abrasion, heat and cuts that can cause unnecessary downtime. 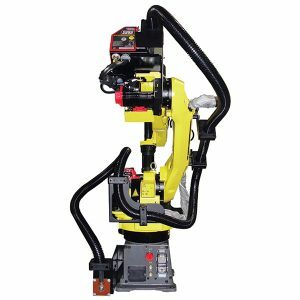 Protects and secures conduit, control cables, cooling lines, gas lines, hydraulic hoses and other lines connected to robots. Choose aluminized sleeves for high heat applications. 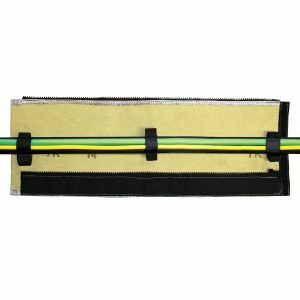 Constructed from tough Kevlar® with a spatter-resistant silicon coating, WizardGear® conduit & cable sleeves provide the maximum degree of protection inside the weld cell. Featuring a zipper and Velcro enclosure, the sleeves resist abrasion and cuts that can cause unnecessary downtime. 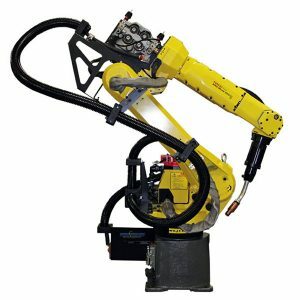 Protects and secures conduit, control cables, cooling lines, gas lines, hydraulic hoses and other lines connected to robots.